Click the button below to add the AdGem Latex-Free Adhesive 15ml to your wish list. 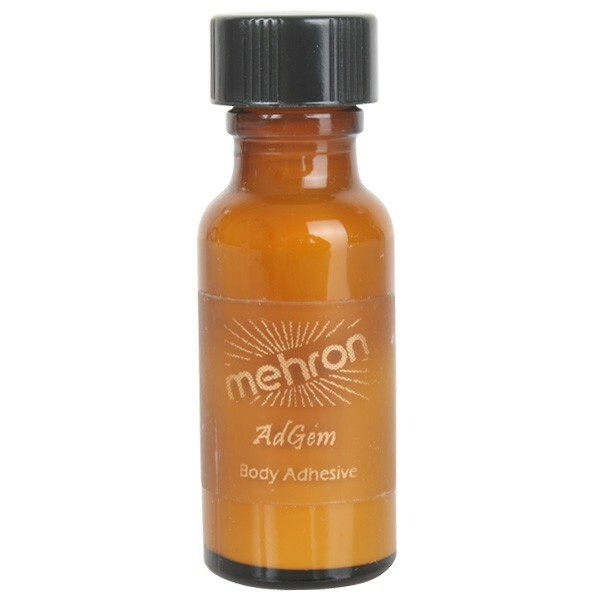 Ad Gem is a safe, LATEX-FREE adhesive to use for all body decoration. This adhesive is a water based acrylic formula that is safe and comfortable providing the perfect amount of hold for Glitters, Jewels and other cosmetic accessories. Ad Gem is in liquid form when dispensed from the tube and quickly changes to a rubber-like consistency when it is exposed to the air. Ad Gem is unique for its super strength grab that never lets go, even after a long night on the town or a long day on the set. Ad Gem has excellent water and moisture resistance.